Ethiopia Dominates Good Food Awards Again, But Why? Congratulations to all the winning roasters of the recent Good Food Awards, many of whom are long time acquaintances and friends, as are many of those people judging the GFA. No matter what the coffee or competition is, the roasting and the judging involved is highly nuanced and requires skill and attentiveness, and those people should be recognized and respected. That said, there is a question that pops up among many of my coffee peers each year: Why is it, year after year, the Good Food Awards is almost always dominated by Ethiopian coffees? Does Ethiopia simply deliver the best tasting coffees in the world? 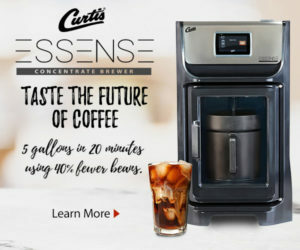 Or, could it be an unintentional habitual response — a social trend — that specialty coffee consumers have become focused on because it is such an easy, recognizable set of flavor attributes that are mostly pleasant to those who seek exciting differences? I love Ethiopia coffees, but it is a big world out there, and when one out of dozens of producing countries annually dominates the list of winners, something seems amiss. 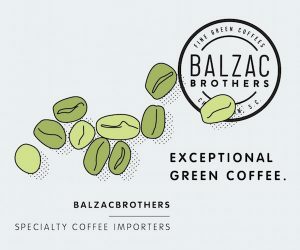 To further examine a possible homogenized preference within specialty coffee tasters, I examined past results from The Good Food Awards, which in coffee rewards “exemplary flavor — sweet, clean, well developed body, balanced acidity and phenomenal aromatics.” Coffees submitted must also meet certain social or environmental certification standards for eligibility. Between 2012 to 2017, the competition has given awards to roasters offering coffees representing seven different coffee-producing countries. 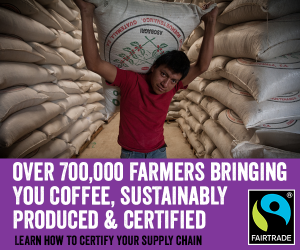 Considering over 70 nations produce coffee, the list of awarded countries appears limited. 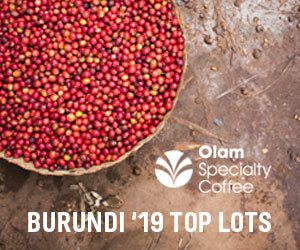 Out of the total 86 winning coffees, (if counted correctly) 50 awards were given to coffees from Ethiopia, 14 from Kenya, nine from Panama (all Geisha varieties from estate-owned farms), five from Colombia, three from Guatemala, one from Nicaragua, one from El Salvador, and three blended selections containing Ethiopia coffees in combination with another origin. Results heavily favor cup quality attributes that are found primarily in Ethiopia. Some of the data describing post-harvest processing techniques used for each coffee were difficult to obtain. Most of these coffees were either washed (parchment-dried) or natural (fruit-dried) during post-harvest processing. Although this is a relatively small sample of results, it could present an interesting trend that establishes preference for a familiar set of flavor attributes shared among the panel of judges. I spoke with a judge who participated in the 2017 Good Food Awards to ask about their interpretation of this trend. The judge mentioned many of the roasters had submitted a disproportionate amount of Ethiopia and Panama Geisha selections, suggesting an awareness by roasting companies of prior winning coffee selections, perhaps to strategically optimize chances for matching established winning flavor profiles. 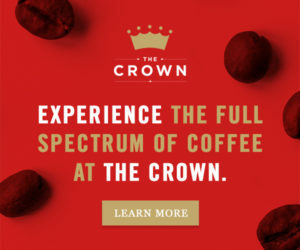 If this is true, the path for discovering coffees that do not fit into an established winning combination of taste attributes will likely not widen unless there is a shift toward diversifying expectations within the specialty coffee marketplace. 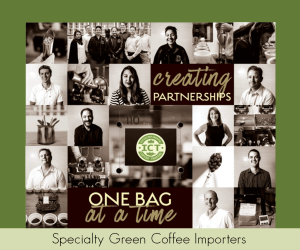 Is the specialty coffee industry truly catering to the broader coffee consuming community when panels remain attached to a homogenized set of desirable flavor attributes? 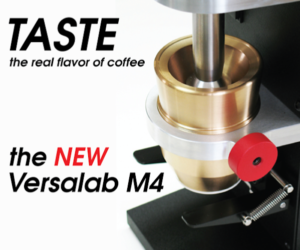 Do professional tasters represent, or seek to best serve, preferences of the public, or is there a different goal in mind when measuring what cup quality should be? Noble Coffee Roasting’s Good Food Award-winning Bishan Fugu. If a random set of coffee drinking consumers were asked to taste a variety of coffees in a different location in the United States, would they end up with the same outcome of preferences? If so, could we assume there are intrinsic qualities related to geographic origin, post-harvest processing methods, and coffee varieties that are indeed representative of positive hedonic responses? If the responses are not similar, would this suggest professional coffee tasters have collectively developed a shared expectation and definition for what is considered valuable, and that consumers who are not experienced in recognizing coffee flavor characteristics may attribute negative responses to the same attributes? If other extrinsic attributes of coffee selections are removed from the tasting evaluation — removing labels, retail bags, and avoiding open discussion between participants — would coffee drinkers agree with the professional coffee taster results? Roasters know selecting an Ethiopian coffee is likely the best choice if you want to have a fighting chance at winning. So most entries are from Ethiopia, which means it will be hard to even find a roaster who submits a coffee from Peru or Colombia. 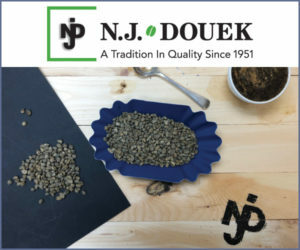 Professional coffee tasters most often appreciate flavor attributes that are present in Ethiopian coffees. Roasters who enter this competition know this and cater to it. Even if the roaster’s favorite coffee is not from Ethiopia yet is balanced in every way — capturing pleasures of a subtle, gentle acidity that may also be favored by their customers — it won’t beat the formulaic attributes that professional tasters seek. If you put a panel of U.S. rural mid-western coffee drinkers between the ages of 55 and 65 on this judging panel, would you get the same results, or end up with a baggy, past crop, dark-roasted coffee? What makes a coffee great? Is it the flavor established by the few, or the flavor preferences established by the majority of average coffee drinkers? 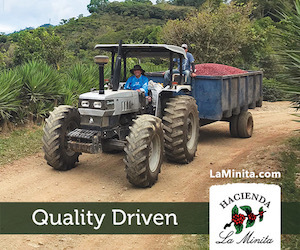 Which coffee, in the long run, will be more sustainable and profitable, average 83 coffee that represents 95 percent of a yield, or the 5 percent of the crop that reached a solid 88 points? Do judges cup this coffee or do they brew it for drinking? If they are cupping, roasts that cater to cupping protocol should do well, and Ethiopian flavor profiles do really well with a gentle roast profile, from what I’ve tasted. I suppose they do well burnt too. — I like the traditional Ethiopian coffee ceremony for example. Ethiopia is seasonally fresh at the time of judging, so that plays heavily in the selection process. Would results be different if this competition was hosted in October? Would Colombia or Peru selections pop up? Next year I suggest the GFA organization consider hosting a guest panel of judges comprised of novice coffee drinkers representing a wide age range and diverse socio-economic backgrounds to help select the next round of coffee winners, and perhaps widening the definition of what good can be. 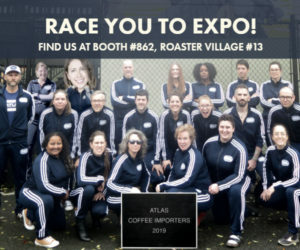 But let the roasters know this before they submit another Ethiopia, because I bet some would reconsider what “good” is, especially if they know the judges are not professional tasters. A licensed Q-grader and longtime roaster, Jon Ferguson is a Coffee Quality Specialist at the Arbor Day Foundation. He continues to travel extensively, verifying coffee supply chain activities from seed to cup. Perhaps the GFA has outlived it’s usefulness. Diaspora will come out to protest. WOW, Jon Furgeson sounds very mad that Ethiopia offers the best nature has blessed its products. If the country had a wise leaders you would be sweating to explain why you feel this way. Ethiopia is the motherland of coffee. That is our gift to people like you to enjoy. We invented it. We grow it. We perfected it. We are just the best at it. 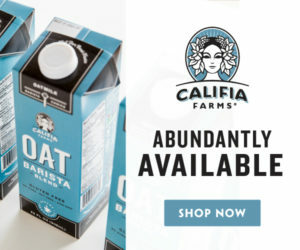 From the farm to your mug! Simply kik back. Relax and enjoy. Welcome to Ethiopia! I think the timing of the judging has a huge impact on which coffees are submitted! I’m glad you mentioned it but it should be at the top of the list. It is super relevant. Roasters have to submit their entry form over the summer, stating which coffee(s) they are submitting and the tasting happens in September. Essentially requiring a submission from Ethiopia or Central America. The additional requirement for submission being the certification gives roasters many more high quality options from Ethiopia than anywhere else. I would love to see the judging of this competition happen at a different time of year, at least for the coffee category. Simply Ethiopia has variety of the coffee flavors. And knows how to market it with the help of coffee masters of the world…..get a grip to you emotions. For the wishful who suggests the competition happen at different time of the year is like suggesting the Masters golf tournament not be held in April and not in Augusta GA. Like AM said it….get a grip to you emotions and I will add get Ethiopian coffee and enjoy it. 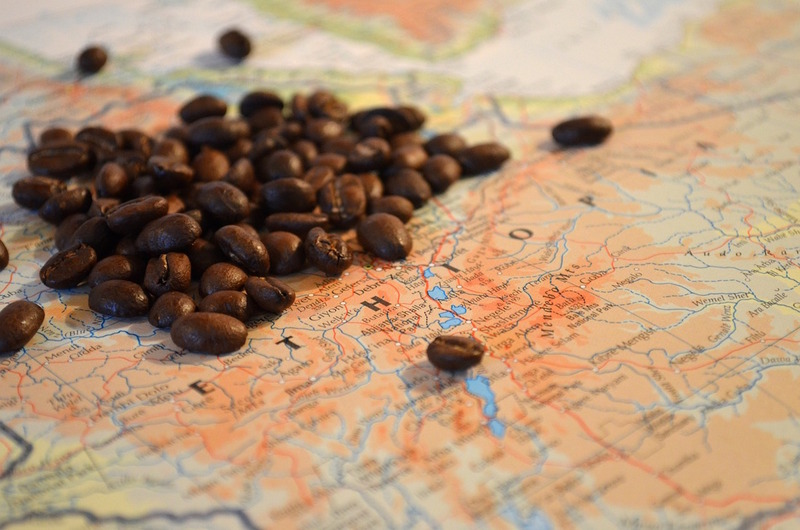 Let’s be clear on one thing; Ethiopia is the birthplace of coffee. Why is this important to consider in your argument? Ethiopians have spent centuries cultivating coffee, and have internalized the process by which it’s converted into a highly desirable stimulating drink. They have gone as far as creating a social environment in which it can be enjoyed to the benefit of the drinker. Coffee is not just a drink in Ethiopia, it is a social phenomena. As a coffee drinker myself, there is no other coffee in the world that would satisfy my coffee crave than Ethiopian coffee. 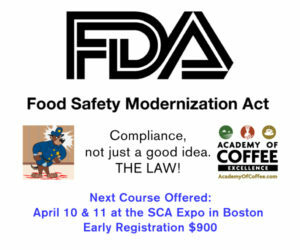 Jon, please feel free to reach out to the Good Food Awards to get in contact with the Coffee Committee. We would be happy to talk to you about the details of the competitions and its limitations, as well as what we’re doing to improve the situation for future Awards cycles. 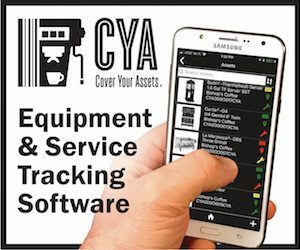 You’re spot on in some respects, but there are a lot of details your missing and easy answers we’d be happy to give you. 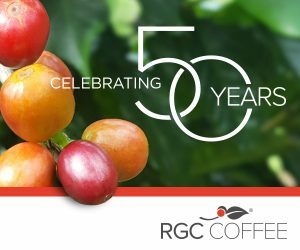 As someone working directly with Ethiopian coffee, I have to agree that the number of wins by Ethiopian coffee seems disproportionate, but I really don’t believe this is really a problem as much as a reflection of the times, of roasters knowing what the coffee specialists are looking for. This is a prize for coffee Roasters I think, no for countries (like Taste of Harvest is), and so roasters try to adapt to what the competition demands or values as “good” today. A few years ago, a natural Guji coffee could have got terrible reviews as an over fermented coffee, while now those coffees are highly appreciated. Ethiopia has wonderful coffees (and not so wonderful ones as well) and it´s to be always up there with the best of the best, mainly thanks to it´s genetic variability and wide spectrum of flavours; but other coffees will eventually take over as taste preferences change and we discover other origins and other taste profiles take over. I empathize with your frustration. It certainly is not that these coffees from Ethiopia aren’t tasty- they are! The problem is that competitions and the 100-point scale self select flavor profiles. The judges’ preferences, fine tuned by the specialty coffee industry, cater to a very limited range or flavor profiles. Since the judges preferences actually play into the scoring of coffees using the standard 100 point system, the same kinds of profiles end up winning competitions. Inherently, there’s no problem with this. If a small group of people want to find the small number of flavors they cherish- great! However, as you point out, it ends up being a small club where outsiders are left scratching their heads wondering why all the experts want coffee that hardly tastes like coffee (and, often, more like tea!). I think we have an issue with identity and communication. Who are competitions for? What profiles should be celebrated in competitions? Should the judges’ preferences influence the scoring? Is there a responsibility to consider the whole world of preferences rather than those of experts? How do we communicate all these answers to the consumers we say we’re working for? Ultimately, the host/organizer of a competition should answer all these questions. They should also, then, publicly state all these answers so everyone knows what the competition is about and who it is for. There’s no right or wrong answer to what a competition should be and who it is for. It should all just be honest and transparent. Anytime you want to discuss competitions and scoring, Mr. Ferguson, I’m keen to engage you! 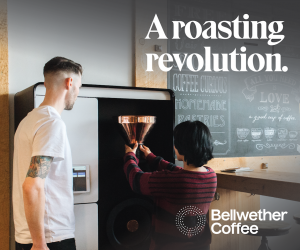 Being a roaster, a coffee lover, a new roaster prototype maker, an inventor and a believer that coffee is my favorite daily drink I wanted to add a little non adversarial diversity. many times for me, I enjoy the facets of roasts that become a blend in itself and even more the blending of those profiles for complexity and diversity. I do like complexity but I also like some of the flavors I have always appreciated, with the exceptions of those flaws like bitter and burnt that many flock to daily unaware. Obviously stating that, shows our inability to even substantiate what is necessary. To some it is simply to taste something covered by cream and filled with sugar or high fructose corn syrup?! To me we get all of these features with roasting, blending and origins that make a flavor that is worth tasting unadulterated. I believe the coming of age with complexity of roasting and the art of blending is the world of appreciation still waiting for the tastebuds to be fascinated in delicacies described by the multitudes as what makes them love mornings. This diversity to enjoy the changes noticed from the differences of the art, the artisan, from the field, to the roaster, and finally though the way it is brewed makes this a fascinating journey with expectancy waiting on the tip of our tongues! 1. What is the aim of this award? Isolating the best coffee taste, knowing the judges skill, or the Americans’ roasters skill, etc? 2.	Who must be more benefited, encouraged and/or motivated with this award? 3.	Who receive the award? The roasters or the producers of the winning coffee? 4. 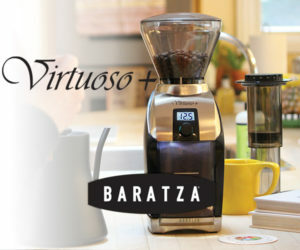 What special recognition or opportunity is given to the specific producer of the winning coffee that roasters awarded? 5. If Ethiopia wins an award 50 times this GFA, why the exporting volume of coffee & the hard currency doesn’t show more increment? For instance, in 2016/17 our country exported 20,698 tons (15%) of coffee to America and she got 117 millions USD(9%) from it. And in 2017/18, 26,657 tons (11%) of coffee was exported & 141 millions USD (9%) foreign exchange we got. Even though the data mentioned above shows increment, USA has still an average 13% both in export volume & exchange rate. Imagine we award 50 times and at the same time Ethiopians coffee promoted & we can say it’s preferred there. But the demand never exceed as compared to the USA population. 6. Which type or traceable coffees in Ethiopia win the award?